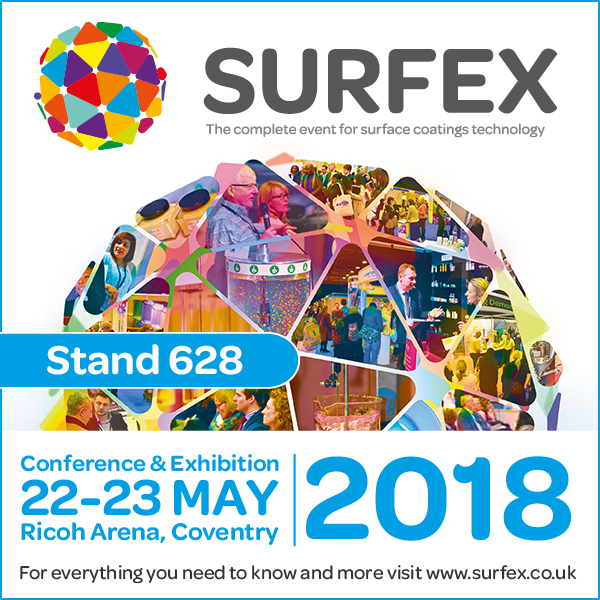 Dyne Testing will be exhibiting at this year’s Surfex Exhibition. The exhibition is the UK’s must attend coatings event of the year and is being held at the Ricoh Arena in Coventry, U.K. on 22nd – 23rd May. Displaying our market leading products on Stand 628, the Dyne Testing team will be exhibiting high precision, quality control test instruments for measuring Surface Energy, Surface Tension and Metal Cleanliness. Dyne Testing will be showcasing state-of-the-art portable and desk top measurement instruments including the Attension range of high performance Optical Tensiometers (contact angle measurement equipment) and Force Tensiometers. The team will also be exhibiting the Bubble Pressure Tensiometer range on the stand along with the CleanoSpector an easy to use handheld, non-destructive cleanliness inspection instrument for use on metal surfaces. The Attension state-of-the-art range of tensiometers provide highly accurate measurements for research, development and industrial quality control. Our product range consists of optical and force tensiometers to cover any application requiring determination of static and dynamic contact angle, surface free energy, surface and interfacial tension, powder wettability, automatic Critical Micelle Concentration (CMC), surface roughness and interfacial rheology to name a few. The OneAttension software is designed to extract the maximum information from every measurement with a minimum of effort and in an easy-to-use way. Dyne Testing based in Lichfield is fast becoming the most well recognised and trusted supplier of quality inspection equipment for measuring properties of solids and liquids throughout the UK and Ireland. To learn more about the Surfex Exhibition click here.